"Born 1722. Worked at Nurnberg from 1747 to 1786. 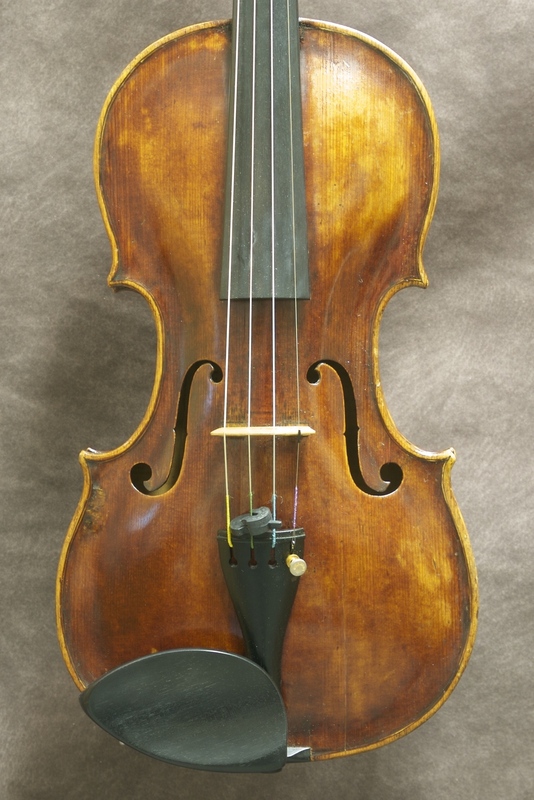 Prolific maker who favoured the Stainer model yet managed to infuse some originalities. 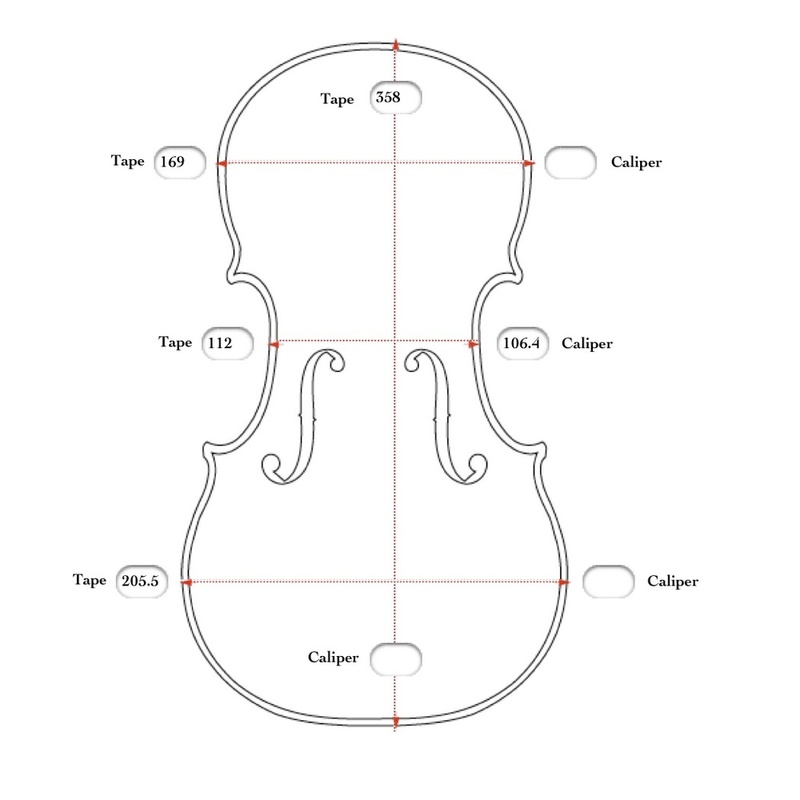 Sometimes overdid the arching, but more frequently realised a very elegant, medium gradient, and occasionally fancied the flatter style. 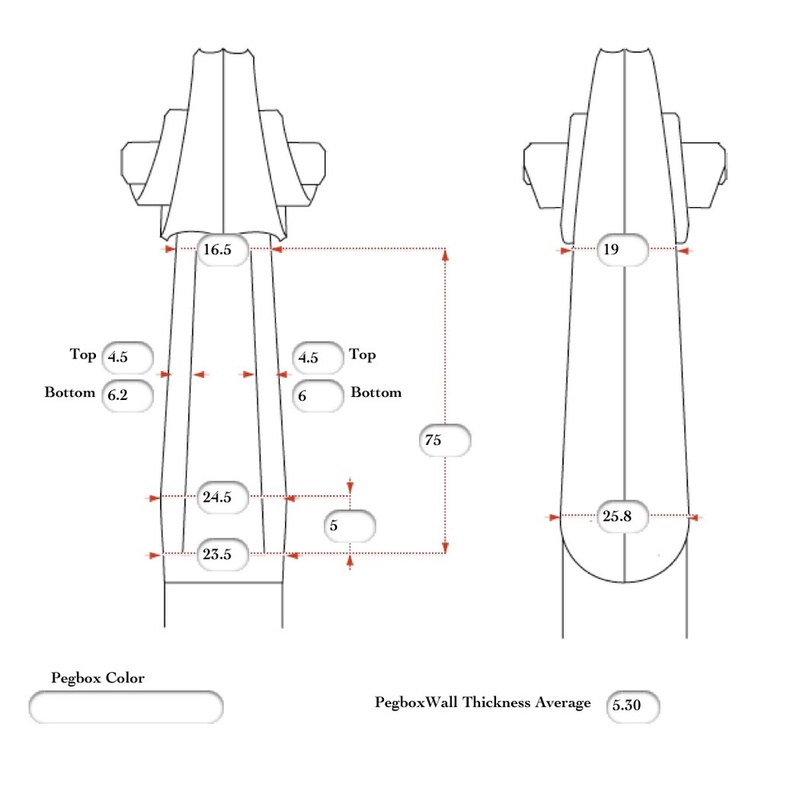 General measurements of broad pattern- body-length 14" inches upper bouts 61 lower 8t. 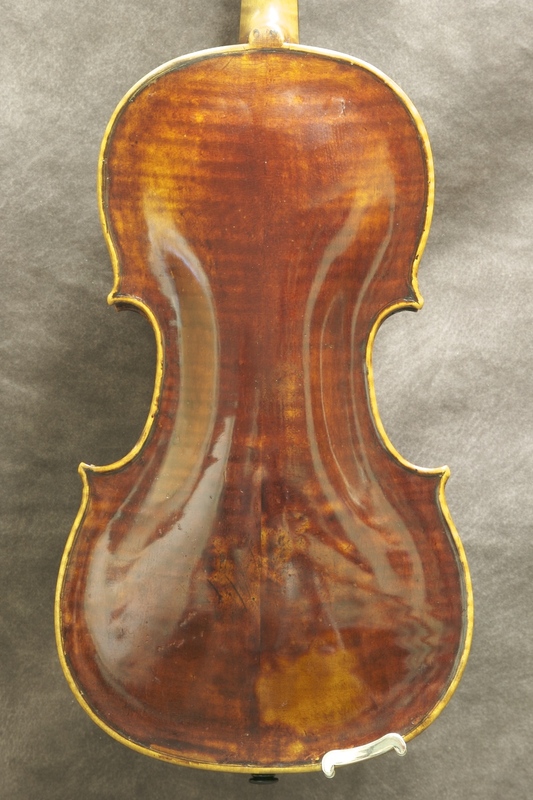 Carefully chosen wood, plates sometimes too thinly worked, and generally two-piece backs of finely flamed material. Neatly inserted and broad purfling. Scrolls or fancy heads (mostly of pear wood) faultlessly carved. Sound-holes sometimes ungraceful and wide open. 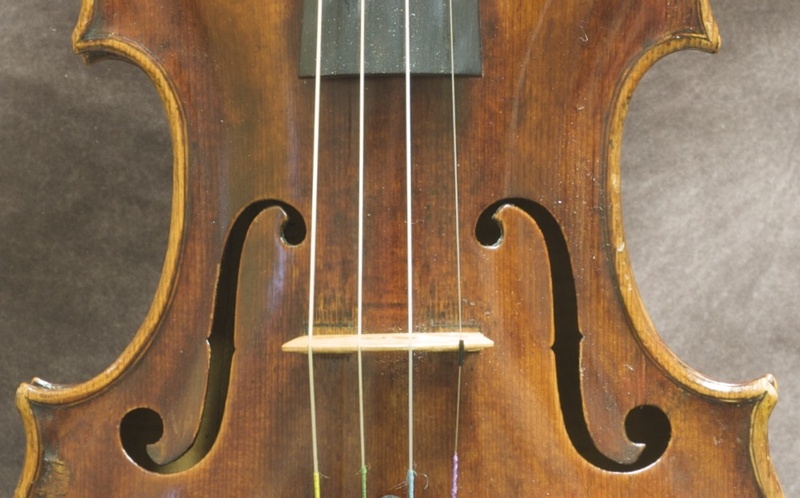 Varnish has a touch of the Italian, that of the later instruments being superior to the earlier, and of a lovely brownish-red shade which he made lighter or darker as fancy dictated, highly brilliant and richly transparent. Varying tonal quality, sometimes weak and played out type, others large and without clarity, but mostly of good responsiveness and warmth. £40, 1928. 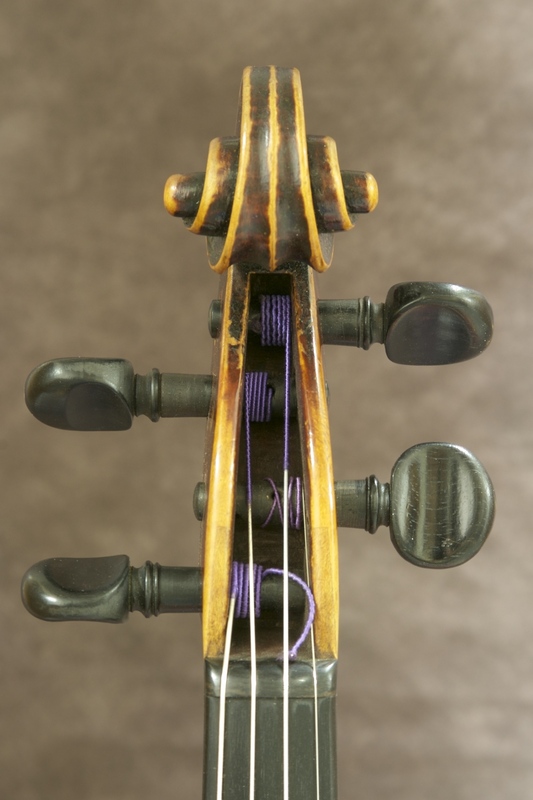 Also excellently copied the Maggini model with double purfling, varnish of deep yellow shade. 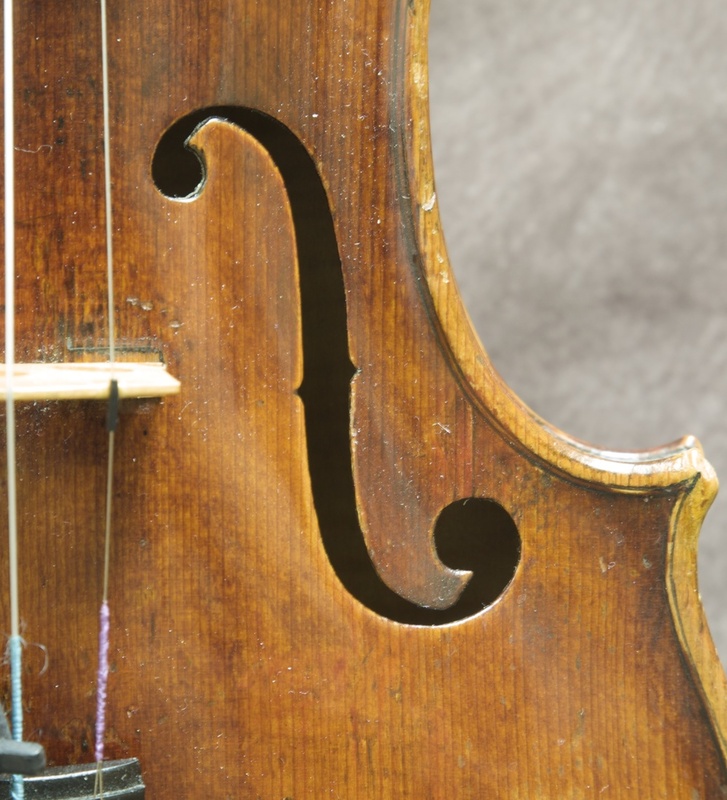 Some instruments have an ivory edge. 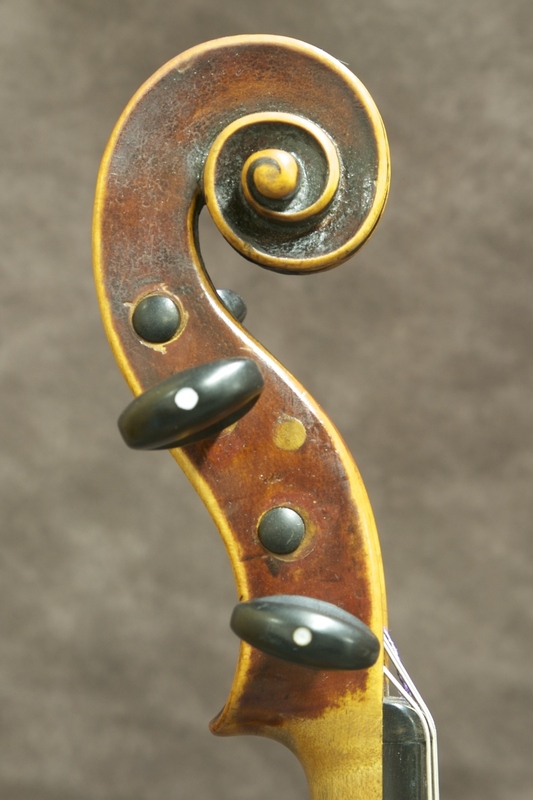 Beautifully arched violas, body length 15" inches, workmanship with artistic enterprise, and noble tonal quality. 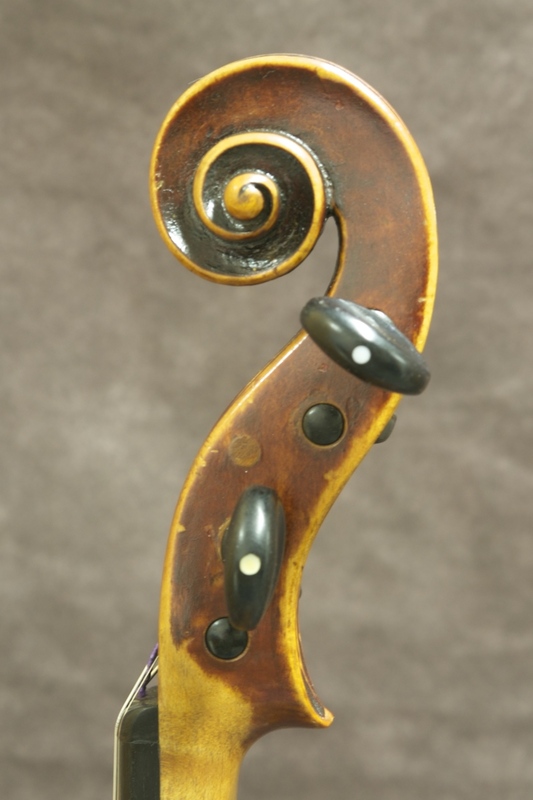 Also cellos, medium high, handsome wood, red varnish. 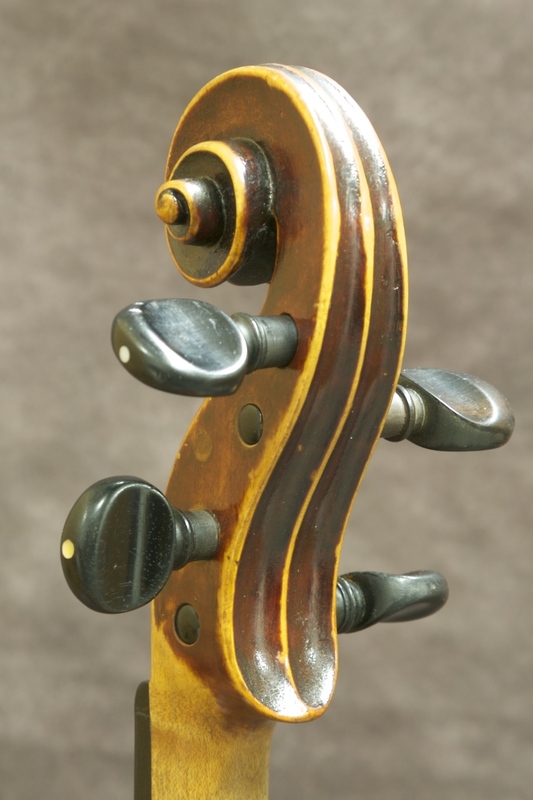 A few magnificent double-basses are known. 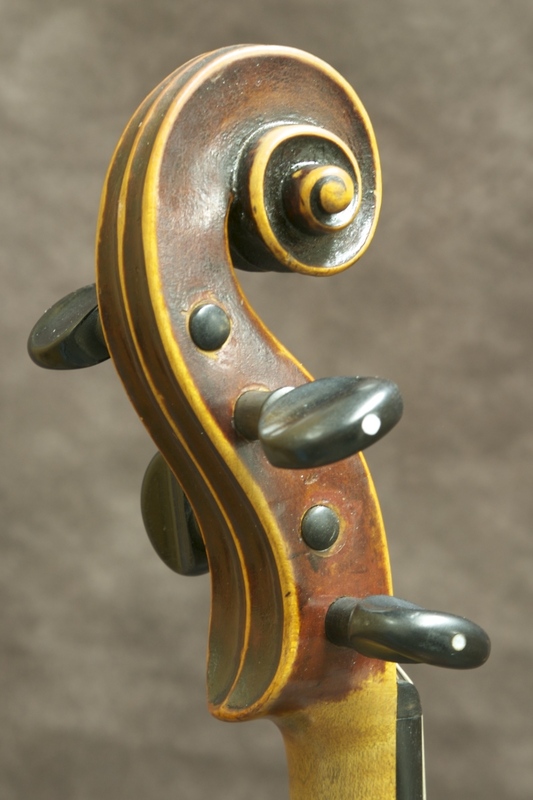 Instruments dated after 1804 made by his son, G.I. Those dated 1789-1805 generally attributed to M.L. Produced various forms of lutes."